JOSHUA HALE FIALKOV’s Favorite AVENGERS Story! Home » COMICS HISTORY » JOSHUA HALE FIALKOV’s Favorite AVENGERS Story! It’s AVENGERS WEEK! We’ve asked some of the top names in comics to pick their favorite stories. Here’s Joshua Hale Fialkov, writer of The Bunker! Avengers Forever, by Busiek, Stern, Pacheco and Merino. 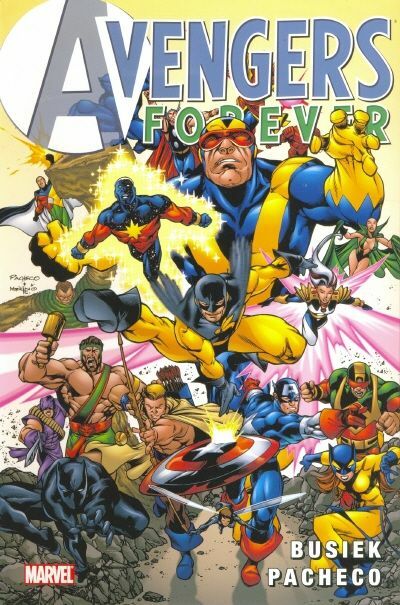 Avengers Forever is both a greatest hits of the Avengers, and one of the most compelling, continuity-driven stories of all time. It managed to do something that I don’t think an Avengers book had ever done before, which was to give it the same sense of prestige and power as the Justice League has always had. It made the word Avengers mean so much more than what it meant previously, and, for me, was definitely the beginning of my love affair with the team. 2009 trade edition. The original limited series ran 1998-2000.